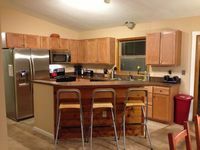 Property 9: Pocono Lake Cabin w/Heated Pool Access! Property 11: Cozy Cottage Life. Private Lot. Free Wifi. Walk to pool, beach, and playground. Property 16: GREAT LOCATION ,FREE THURSDAY NIGHT FREE WIFI SERVING OUR CUSTOMERS FOR 28 YRS! Property 21: Secluded Mtn Cabin w/Deck - Walk to Lake Harmony! Property 28: Looking For Some Beautiful Views?? Property 30: Cabin w/ Fire Pit & Decks - Walk to Lake Harmony! Property 36: LAKEFRONT Cabin on a 22+ acres wooded lot. Close to BLUE MOUNTAIN Ski Resort! Property 37: Beautiful Cabin in The Poconos on The Lehigh River! Property 49: Cozy Pocono Getaway Close to Jack Frost and Big Boulder! Property 50: 8 BEDROOMS!! Firepit! Hot tub! Ping Pong and more! !